So you’re wondering if you should buy Aura Cacia? 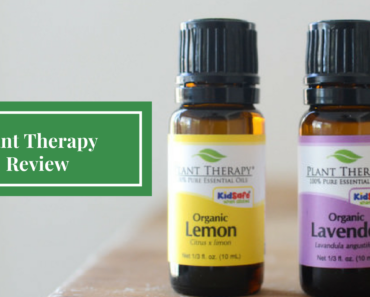 This Aura Cacia essential oils review will give you the inside scoop on what’s great and what to think about to decide if this brand is right for you! Aura Cacia was founded back in 1982 in Iowa and is owned by the Frontier Co-op. Its co-op company structure means that it’s owned by wholesale and store members who make sure the high values and sustainable sourcing standards are not compromised. Ever since the company started, it has had an extremely strong commitment to sustainability. Aura Cacia is sold at many retailers like Whole Foods and other big national chains because of it’s high quality and wide variety of oils. 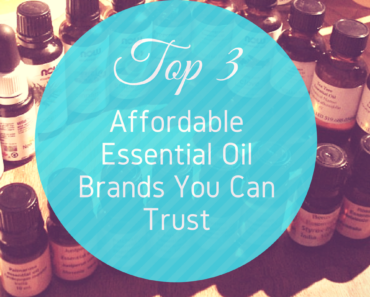 They also are one of the few brands that sells USDA Certified Organic essential oils. Most companies just say they have high quality suppliers but Aura Cacia meets the strict requirements for being certified organic. They even donate funds to educate farmers on organic and sustainable farming! The only downside to Aura Cacia is that they don’t provide any transparency on batch reports that show the ingredients in their oils. Some other brands like Plant Therapy, show you the tests so you know there are no synthetic ingredients added to lower the cost. Aura Cacia is a reputable brand with many retailers so it’s not as much of a concern that they don’t provide the transparent reports. If you are buying some up and coming or new brand on Amazon that isn’t reputable, then the reports become more necessary. Aura Cacia has a massive variety of high quality essential oil products. They offer around 120 single essential oils and over 90 blends. 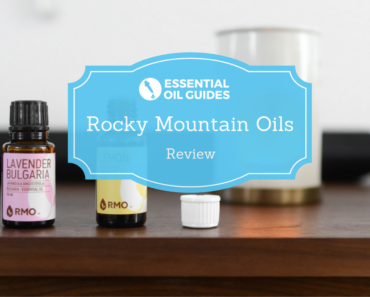 If you need a specific or rare oil, it’s likely this brand will have it for you. They also have a line of seven Chakra roll-ons which are focused on helping balance each chakra. 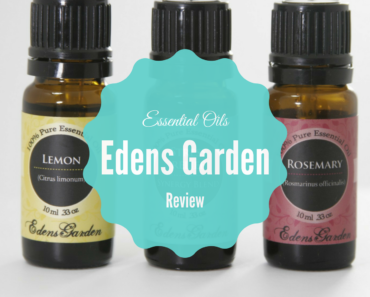 The roll-ons are pre-diluted with carrier oils so they are safe to go directly on your skin. You can roll the Aura Cacia essential oil blend near the chakra that the roll-on was created for. One amazing advantage of buying from Aura Cacia is that you’re buying from a company truly dedicated to sustainable and ethical sourcing. They don’t just find good suppliers, they really get involved with helping the communities they source their essential oils from. In Sri Lanka, they gave a grant to the Small Organic Farmers Association (SOFA) which is a 2,043-member cooperative of small-scale farmers. The grant was given was for the construction of an organic training center to educate farmers on organic and sustainable growing techniques. Aura Cacia heavily supports education and gives funds to other initiatives such as operating a preschool in Madagascar for families of the ylang ylang harvesters who pick flowers for ylang ylang essential oil. They have many similar programs in other regions where they have suppliers. It’s really cool to know that when you buy their oils, you are supporting these programs and helping provide a better life for the people who helped supply the oils. You can compare Aura Cacia’s pricing to other brands in the table at the bottom of this article. It’s a mid-priced brand that is far cheaper than DoTerra and Young Living, but doesn’t have rock bottom pricing either. To give you a quick comparison, Aura Cacia is typically around $0.47/ml while premium brands are $1.50/ml. So it’s a third of the price of other brands but still provides great quality. Aura Cacia has a membership program where you pay a one-time $10 fee and get 10% off products on their website. It is not a MLM company like Young Living and Doterra so you will not get a distributor ID and make money from promoting the products. It is just a discount that you get without any further commitment. If you aren’t buying a bunch of oils at the same time, then you’ll be better off buying on Amazon Prime and getting free shipping because Aura Cacia only gives free shipping on orders that are around $50 or higher. 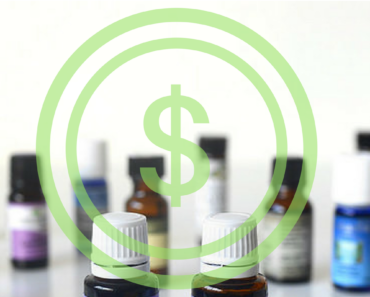 If you buy a $10 bottle of essential oil on their website, then you save $1 with your membership discount but will pay more for shipping, so you should go with Amazon and get free shipping. Aura Cacia has the perfect starter kit if you are thinking about getting started with essential oils or trying Aura Cacia for the first time. This essential oil discovery kit has a sampler of the four most popular essential oils which are peppermint, eucalyptus, tea tree and lavender. They are all 7.5ml small bottles to give you a sample. The kit also comes with an essential oils learning guide that has DIY recipes for skin creams, lotions and more. This is a great kit to get if you’re overwhelmed with which oils to buy first or want to try a variety of scents. Aura Cacia is a fantastic essential oil brand that offers high quality oils at a decent price. The company is committed to ethical and sustainable farming and donates 1% of its sales back to the communities that supply its essential oils. They will have a wide variety of oils and organic options, so you can easily find anything you're looking for. Aura Cacia oils are a safe bet if you are looking to try a new brand of essential oils.